aren and Richard Carpenter grew up in New Haven, Connecticut, where, at an early age, Richard developed an interest in pop records. He studied music for a while at Yale and even played in some local jazz bands. In the early sixties, the family moved to Downey, California, then hometown for a number of seminal surfing groups like the Chantays. At the age of sixteen, Karen took up the drums. In 1965, the two siblings launched the Carpenter Trio, along with friend Wes Jacobs. The following year, they won a Battle of the Bands at the Hollywood Bowl. RCA stepped up with a recording contract, but nothing ever came of it. In 1967, the group expanded into Spectrum, but after a short time was back to a duo. Karen and Richard retreated to the garage studio of a friend, Joe Osbourne, where they began cutting demonstration tapes. "We went to all the record labels trying to get a recording contract -- twice," said Karen. Capitol wanted them to sound like Bobbie Gentry. And Warners wanted them to sound like Harpers Bizarre. "We'll sign you if you do 'Anything Goes' type of stuff," they said. Richard replied, "Hey, we have our own sound." Talk-folk records like Dylan's "Like a Rolling Stone" were big at that time, and "Columbia told us they could use us if we could redo our songs so they could be talked," Richard said. "I said, 'We don't want them to be talked.' And they said, 'Well, we're not interested.' And that was that. "Finally, through a friend of a friend, we got a tape to Herb Alpert at the A&M label." The Carpenters signed with A&M on April 22, 1969. Alpert gave them free reign, total control of their music. And he brought them "Close to You." It was a song Burt Bacharach had intended for Alpert himself. "But Herbie couldn't bring himself to sing about 'moondust in your hair,'" Richard said. "He said, 'I'm going to give you this lead sheet, and I want you to do your own arrangement.' So I made a shuffle, put the doo-wahs at the end, and the whole thing. We cut it, and I remember sitting on the steps of the recording studio. Herbie said, 'Well, what do you think?' And I said, 'I think it's either going to be a number-one record or one of the biggest stiffs of all time.'" "Close to You" had been written in 1964, first turning up on the debut album of Dionne Warwick. Far from being a stiff, it became a number-one record for the Carpenters in the summer of 1970. With their royalties, they bought an apartment building and named it -- what else? -- "Close to You." The Carpenters blossomed into one of the most successful pop groups in the history of the recording industry, scoring more than a dozen major hits in the seventies. They earned three Grammy Awards and a reputation for crafting some of the best sound recordings ever made. They hosted a short-lived variety series on NBC in 1971, and at the request of President Nixon, they performed at a White House state dinner on May 1, 1973. They toured internationally throughout the mid-seventies, and from 1976 to 1980 the pair hosted five ABC television specials. On February 4, 1983, Karen Carpenter died in her parents' home of cardiac arrest, resulting from her long struggle with anorexia nervosa. Her story was presented in a highly rated made-for-television movie in 1988. The posthumous album Lovelines drew critical notice for its inclusion of four tracks Karen had recorded for an unreleased 1980 solo album. 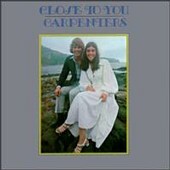 In 1994 a Carpenters tribute album, If I Were a Carpenter, was released, featuring contributions by Sonic Youth, Sheryl Crow, Matthew Sweet, and the Cranberries. Around the same time that fall, the Karen and Richard Carpenter Performing Arts Center at Cal State University in Long Beach opened.